Premier League 2018/19 season is about to come to an end. Chelsea have been pretty much struggling half the season after a good start following the change of manager. Maurizio Sarri was expected to transform the London outfit into a more attacking side but, the Blues have seen some embarrassing defeat against Manchester City, Everton, and Bournemouth in the process. However, the London side has been able to regain a bit of stability recently and even recorded 3 consecutive clean sheets in their last 4 games. They also have the upper hand to progress into the next stage of Europa League and still in the race for top 4 in the Premier League. Several players have consistently become standout performers despite the Blues' turbulent season. Here we will rank 5 of those players who deserve to be a top candidate for Chelsea's player of the year. 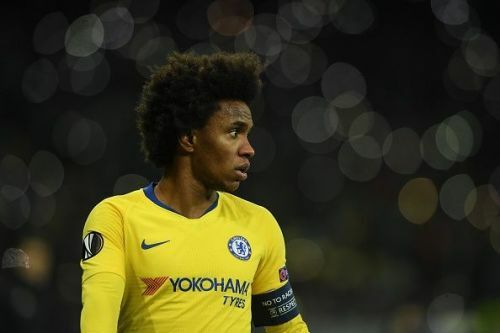 Perhaps many are not noticing that the Afro Brazilian has been Chelsea's second top assister behind Eden Hazard. He has set up his teammates 6 times and has scored 3 in the league so far. 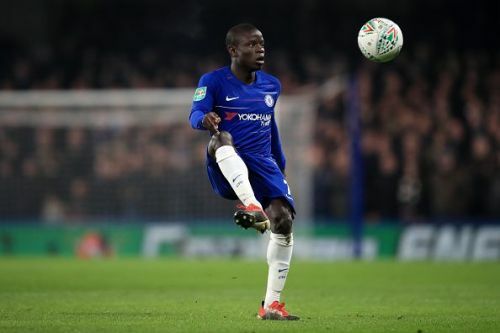 He has also gone on a rampage in the Europa League, amassing 7 assists with further 3 goals for the club in just 9 starting appearances in the competition. He has been linked with several European giants such as Barcelona and Manchester United due to his enormous talent and eye-catching displays. He is a rare-breed of winger who can be a lethal playmaker and run with blistering pace at the same time. He has created a massive 2.5 and 3.2 key passes on average in Premier and Europa Leagues respectively. However, he still needs consistency as he is yet to be able to secure a Premier League starting spot regularly. His goal contributions also need improving to be able to clinch a higher rank on this list.